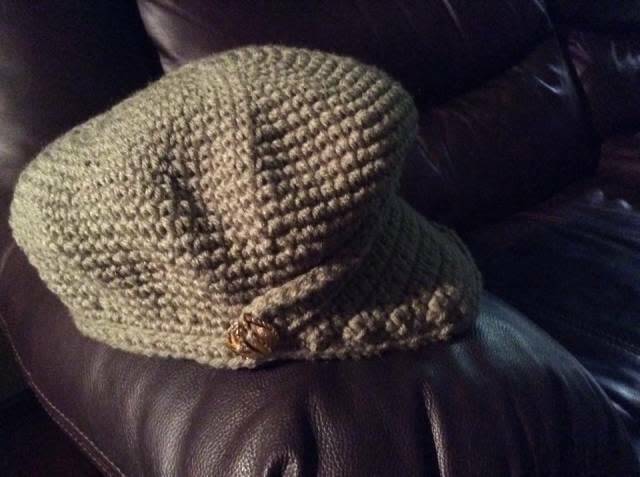 This hat is make with sport weight yarn. The brim contains a plastic card to keep shape. Clip-on earnings are sewed on for decoration.